Sure, you can spend your days speculating about the Full Tilt sale. But there's a whole gaming industry out there to worry about. If you're not at the Gaming Expo in Vegas, amuse yourself by reading about the Macau gaming operators' stock market slaughter, the anti-gaming legislation just passed in Kyrgyzstan, and the Riviera Holding Company's biblical sacrifice of one of its children to save the other. Macau year-over-year gaming revenue grew 39 percent in September. Awful. Time to sell your stocks and run for the hills. If Vegas posted those numbers, it would be cause for celebration. But for Macau, it was a sign the golden goose might be cooked. The growth compared with September 2010 was small next to August's 57 percent increase, July's 48 percent increase, and June's 52 percent increase. Macau casino operators saw their stocks tank last week and the beginning of this week amid fears that growth of the Chinese economy is slowing and broader market declines will force Asian high rollers to cut their gambling budgets. Chinese stocks have fallen 21 percent in the last six months. There is also some concern that junket operators, who often extend credit to their clients, may be facing a liquidity crisis. Sands China Ltd. fell 14 percent, its steepest decline since it was listed two years ago, and then continued to fall for the next two days. Wynn Macau Ltd. dropped 11 percent. MGM China Holdings Ltd. crashed 20 percent to its lowest price since it was listed in June, but gained back four percent by Tuesday. The Macau mini-panic caused Las Vegas Sands stock, traded on the New York Stock Exchange, to drop 5 percent, while Wynn Resorts Ltd. fell 7 percent on the Nasdaq exchange. The stocks without American parent companies fell even more. SJM Holdings Ltd., gaming magnate Stanley Ho's company, plunged 26 percent, the most it has ever fallen. On Tuesday, SJM was up 2 percent from its lowest point. Melco International Development Ltd., half of the the team behind the Melco Crown and the owners of the Crown chain in Australia, fell 16 percent. Galaxy Entertainment Group Ltd. fell 19 percent on Friday and dropped another 6 percent on Monday. Hong Kong's Hang Sen Index closed at its lowest point since 2009 on Monday after recording its steepest quarterly fall since Sept. 11, 2001. In other words, there's not a lot of good happening in the Hong Kong market. National Day is celebrated in China next week with a week-long holiday. Referred to as "Golden Week", the holiday has a major impact on revenue in Macau. Investors will be watching closely to see how the special administrative region's 34 casinos perform in the days to come. For more bloody details, read Bloomberg's articles on Wynn Macau, Hang Seng, and Galaxy Macau. If you were planning a gambling trip to Kyrgyzstan, you'll need to find a new destination. The country's parliament voted last week to ban gambling and forcibly shut the local casinos. Politicians warned that gambling had become a serious social problem, and unlike in most countries, there were no pro-gaming lobbies to defend the industry. The thousands of picketing casino employees had little impact. The law allows for a single gambling zone in the country but does not designate a location. The only political opposition came from a few members of the Socialist party. "You should provide people with the work before prohibiting casinos," said Socialist party member Shirin Aitmatova. Hmm, an argument with which online poker players are familiar. But despite the Socialist opposition to the bill, the voices proclaiming the dangers of Kyrgyz gambling were much louder. "We are talking about the fate of many families who are losing everything because of casinos," said Fatherland Party member Baktybek Dzhetigenov. Once the law is signed by President Roza Otunbayeva, it will go into effect on Jan. 1. However, Otunbayeva may not sign it. She has been advocated for gaming restrictions but said an outright ban would be worse because it would drive the dangerous aspects of the industry underground. Presidential elections are scheduled for next month, so Otunbayeva may leave the bill for someone else to deal with. Allegations of unclear legitimacy have recently surfaced that Prime Minister Almazbek Atambayev, the leading presidential candidate, is involved in using casinos to launder money from drug trafficking. Atambayev has not responded to the rumors. Visit BBC News for more. Riviera Holdings Corp. is selling its Black Hawk, Colorado, property in order to focus its finances on the suffering Riviera Las Vegas. Monarch Casino & Resort Inc. bought the Black Hawk casino for $76 million. Riviera Holdings emerged from bankruptcy last spring thanks to financing from hotelier Barry Sternlicht. "This transaction is a true win-win for everyone involved. Divesting the Black Hawk property allows us to focus on turning around the historic Riviera Las Vegas," said the CEO of Riviera Holdings, Andy Choy. "Additionally, the employees of the Riviera Black Hawk will have access to the resources they need to take that property to the next level." Monarch also owns the Atlantis Casino Resort Spa in Reno, Nevada. Monarch CEO John Farahi said the company was looking to diversify geographically and thinks it will be able to make a positive impact on Riviera Black Hawk's bottom line. The property brought in net revenue of $39.6 million during the last fiscal year, about half of Riviera Las Vegas' earnings. Only the Black Hawk location generated an EBITDA profit last year. In response to the Black Hawk sale, Moody's Investors Service lowered its debt rating for Riviera Holdings Corp., but Standard & Poor's wasn't concerned by the transaction and didn't downgrade its rating of Riviera Holdings. Before the sale of the Colorado casino, the company had about $113 million in debt. 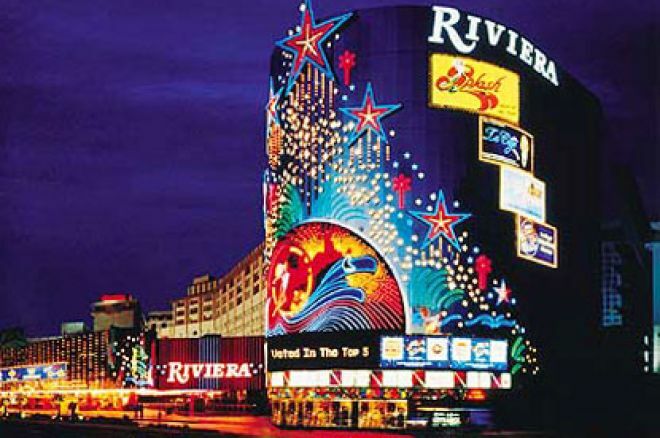 It is not known how much of the sales proceeds Riviera Holdings will use to pay off debt. VegasInc.com has more about the sale and what Moody's and S&P are thinking.